From an economic perspective, Ukraine is perhaps best known for its longstanding reliance on industry and agriculture, both of which are traditions deeply embedded during the Soviet era. The country offers many interesting opportunities for those investors with a higher appetite for risk. Particularly attractive areas of the economy include: machinery building, the automotive industry, consumer electronics, information and communication technologies (ICT), agriculture and food processing, aerospace, alternative energy resources and hotel and tourism infrastructure. The country has a population of nearly 46 million people, which creates an attractive domestic market. What’s more, nearly all Ukrainians speak Russian, meaning opportunities within the Russian market are also accessible. Ukraine’s key strengths include competitively priced labour, access to natural resources and low business costs. The UEFA Euro 2012 football championships have led to rapid development in many sectors in recent years. Ukraine’s hosting of the tournament has created many appealing opportunities for potential investors. PMR Consulting offers a full range of advisory services in the Ukrainian market. We have experience in conducting various types of consulting projects, such as market analysis that include the identification of key market players and their market shares, assessment of the competitiveness of our client’s products relative to what is already available on the market, and analysis of the factors stimulating or impeding market growth. We also provide support when making strategic and operational decisions for those companies seeking to grow through merger and acquisition (M&A) activity or those seeking new sources of investment. 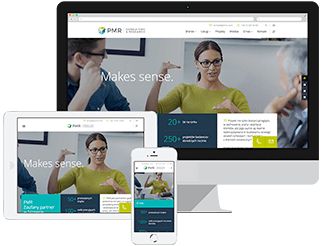 Whether our client is looking to acquire or be acquired, PMR Consulting supports them in this process so they can make decisions confidently, and backed by rock-solid market intelligence.